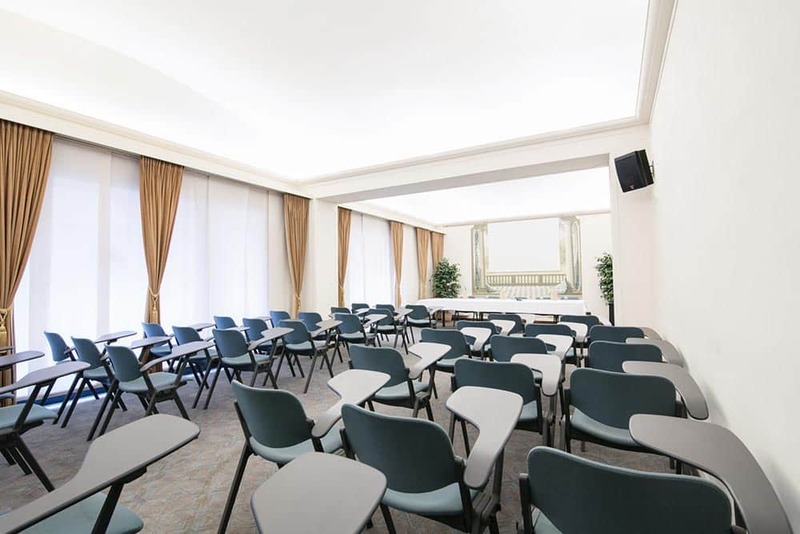 The “Matilde di Canossa” Room can contain up to 66 people, enjoys an extraordinary natural light and is perfect for hosting convivial events and ceremonies, and it’s provided with technologies for meetings and conventions. Furthermore, there’s also a smaller adjacent room, a perfect location for coffee breaks, buffets, welcome cocktails, caterings and stands. A perfect and original location for ceremonies, meetings and conferences, plunged into the silence and in the heart of the town. Albergo delle Notarie marries style with discretion.